54 total views in Klusster. Join Klusster now and reach more people online! 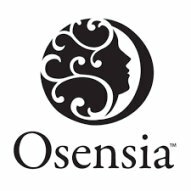 Learn more about Hair Masks, including common questions and pro tips on how to use hair masks by Osensia Haircare. Spring into Summer with 5 Hair Care Tips That Shine! Learn about hair care tips to try in the spring and summer seasons. Pro haircare tips by Osensia Haircare. Find out the secrets of Henna for Hair Care and how to get Luscious Hair with These 5 Henna Techniques. It can be really frustrating when you’ve done everything you can, from eating well to using expensive products, but your hair just won’t grow. Learn some of the best techniques for managing curly hair and keeping it looking healthy and great. Taking care of hair that is naturally dry can be quite a task. Here's a Top Tricks and Home Remedies for Reviving Dry and Dull Hair.